Today I want to share a beautiful clip from one of Cairo's popular current belly dancers. This is the Egyptian Aziza, not to be confused with the American belly dancer of the same name. This is a longer clip in which she dances to a shaabi/mahagranat sounding song, followed by a more traditional (though modern) baladi song. At about 11 minutes in she starts a drum solo and this is really worth watching to see how she dances it, picking and choosing what she dances to, playful yet riveting to watch. I love watching clips of Aziza and I think she is very adept at changing her dance for her audience. Her nightclub clips have a different feel to when she is dancing on stage at festival like she is here, and it is very instructive to see. But even here, dancing at an Eastern European festival, she retains the nuance, timing and ease that I love in classic Egyptian dance even as she adds flashier elements that are suitable to this situation. She adapts for the crowd but never loses what is her. I love this and would love to hear your thoughts in the comments below. To contrast this with a nightclub show, see this earlier Aziza post. 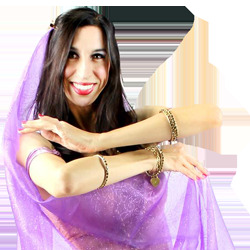 And just a reminder that I will be performing in a live music and belly dancing show at Tannourine Restaurant in San Mateo one week from today. Details on my Shows page.